What’s new in the InGo Software Suite? Our customers are our greatest source of inspiration when it comes to product updates, so when we hear great feedback, we love to make it a reality. You spoke; we listened! Our team has been hard at work, updating, improving and adding new features to our Advocate Marketing suite. Because Advocate Marketing begins with the Advocate, one of our biggest updates is focused on making the choice to advocate an easy one. Our widget now includes user feedback screens to confirm their Personal Invitations were sent and offer additional advocacy options. Here’s a peek at what this looks like. We have added an invite confirmation popup so that your attendees can see when they’ve successfully sent an invite. 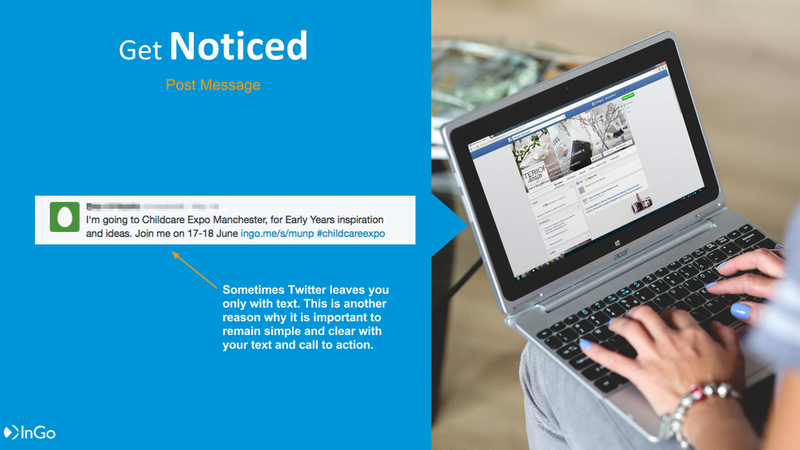 They are also given a very clear call to action to invite more of their contacts to your event. 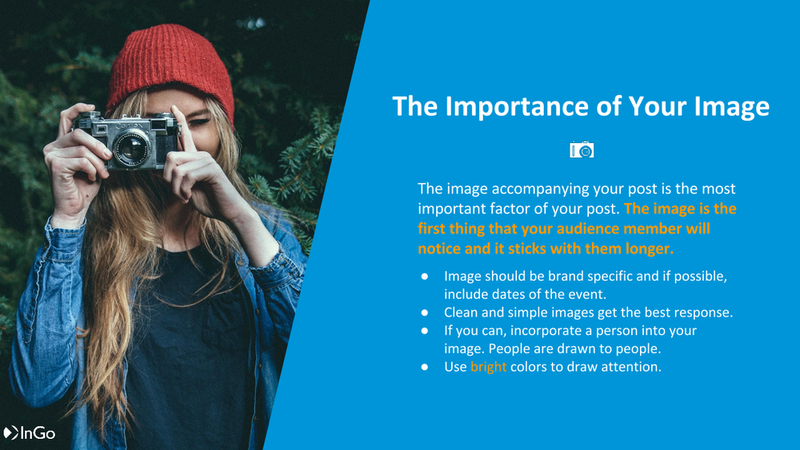 When your attendees decide to personally invite a friend on Linkedin or Xing, they are now given the option of how they want to send their invitations. If they want to get a group together to attend, they can message everyone together. If they want to reach out to each contact separately, they can choose to send them individually. These features increase the means, motive and opportunity Advocates have to spread your event across their networks, which is at the heart of what InGo does. But front end functionality is not all it takes to provide great software. Our development team has also made a series of technical enhancements to the product to amplify performance and increase speed! We are not stopping there. Stay tuned for more updates as we work to include more user feedback features for both organizers and attendees. 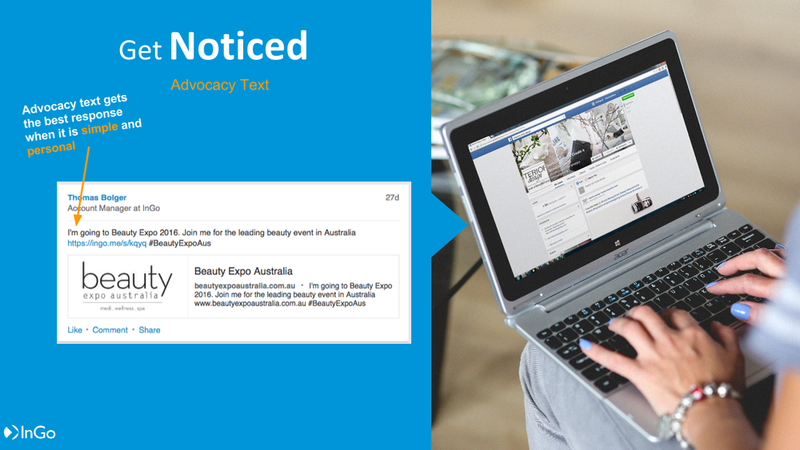 As you know from the multiple case studies we published last year, Advocate Marketing is the best, most cost effective way to build engagement and attendance at an event. We know it, our clients know it, and more and more the industry at large is recognizing us as the technology that is changing the way events are marketed. The latest indication of this recognition is from Sam Barthelme, Director of the Jordan Edmiston Group, Inc. (JEGI), the leading independent investment bank for the global media, information, marketing, software and tech-enabled services. In the JEGI January 2016 Update, dedicated to the changing landscape of events and event technology, Barthelme tags InGo as an innovative solution in event marketing. JEGI has advised more event and event technology transactions than any other investment, so these guys know events. Why has this last year brought InGo and Advocate Marketing such a flood of recognition? Because we are speaking to the major pain points felt by event organizers across the globe: the decline in returns on traditional marketing channels combined with the increasing frustration in achieving measurable results on social media.